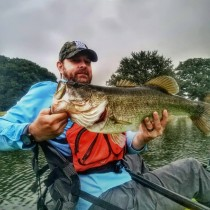 The kayak fishing industry continues to grow at a phenomenal rate and with it, innovations in kayak designs. New kayaks have been introduced and older molds received much needed improvements. While lots of kayaks changed, these five, in no particular order, have made the biggest splash in 2015. The Kraken- Jackson $1800, $2000 with rudder. At 15’ 7”, the Kraken has caught a lot of attention this year. It is built as a big water paddling kayak and was the long time dream of Jim Sammons. Unlike most long distance kayaks, this one also adds stability without giving up much speed. The Thresher 155- Wilderness Systems $1500, $1700 with rudder. You’ve heard of junk in the trunk, well the Thresher moved the trunk to the front. Offering one of the largest available covered front wells, it can hold more than just a Plano box. Made for long trips and big water, the Thresher is the big brother (on steroids) to the Tarpon series from Wilderness Systems. Available in 14 and 15 and a half foot models, these kayaks offer accessories and innovation at every turn. If you haven’t paddled one yet, you should fix that. The knock on pedal craft has long been weight. Woody Calloway at Native sought to break that barrier and succeeded with the Slayer Propel 10. Weighing in at only 57 pounds, you can haul the 10 without a trailer. Heck, you can carry it on your shoulder. Great weight capacity and the Propel drive are tops on reasons to buy one. It is also easy to paddle should the inclination strike. Probably the best 10 foot boat I’ve ever been in; you should give it a look. How long have Outback fans been waiting for a good standing platform and a nice chair seat? Those dreams were answered this year. For those wanting something more manageable than a Pro Angler and wanting the ease of the Mirage Drive while still getting a frame style seat, they now have the kayak they wanted. The critics have now been answered. This could be a really big year for the Outback. Lure 13.5- Feel Free $1500, $1650 with rudder. The Lure 10 and 11.5 reeled us all in with the comfortable seat and revolutionary height adjustment system. Combined with the stability, the only thing missing was a longer offering. Enter the Feel Free Lure 13.5. Taking all the great things of its predecessors and building on them, the 13.5 is a paddle kayak almost everyone can enjoy. Folks are still arguing whether motorized kayaks and barge sized pedal kayaks are actually kayaks at all. It really doesn’t matter for the purposes here. I realize these two kayaks have more of a niche market than others but they broke some barriers this year. For more on these, click on the links provided. Hobie 14 and 17T rule. That is all.